24″ oct bbl and full length magazine. Original sights. Wood is VG with some orig varnish. Rifle style buttplate. 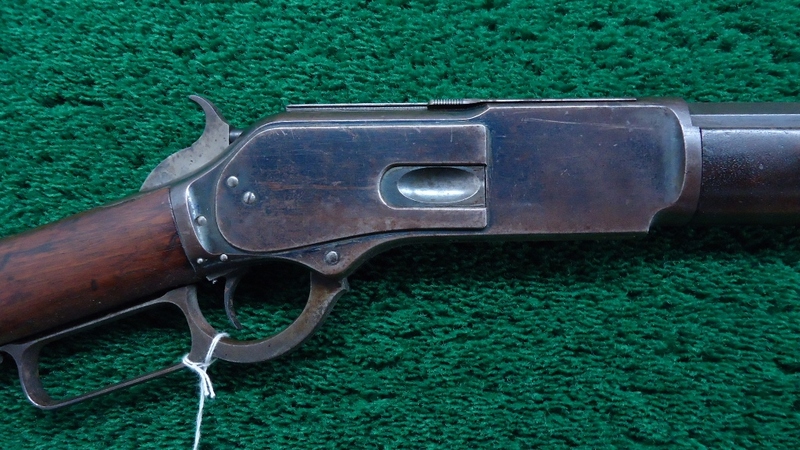 This gun features typical Nimschke style with a scroll banner on one side for presentation and a similar one on the other side. Flowing scrolls with punch dot background. The receiver is a beautiful deep butterscoth color with the side plates being somewhat lighter than the frame. This gun is in the 29k serial range where you frequently encounter that. They used a different alloy mixture for the side plates than was used for the frame. Gun is clean sharp and orig. 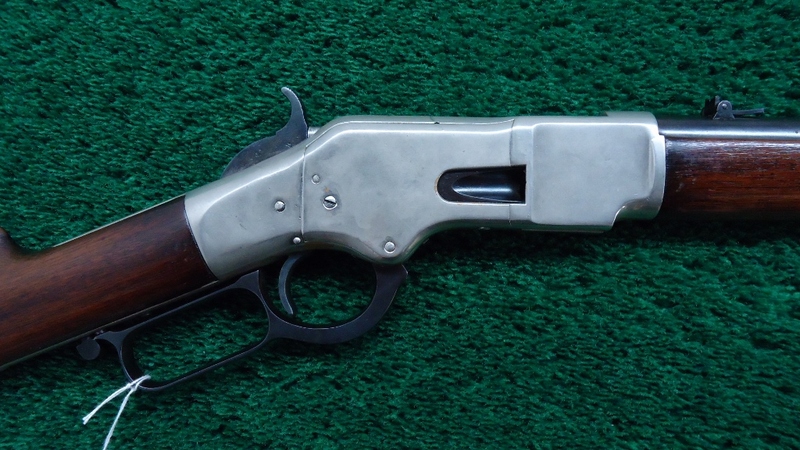 Will make a great addition to any Winchester collection!